Ghanaian Reggae artist Blakk Rasta performed at a private birthday bash for Zimbabwean President Robert Mugabe in Harare Zimbabwe. The artist who was invited personally by the President for whom he has written a song says he had a great time in the presence of Robert Mugabe. He was speaking pidgin” he said, ‘Oh you no bring me fufu? Or you chop all?’ “ he quoted President Mugabe as saying. 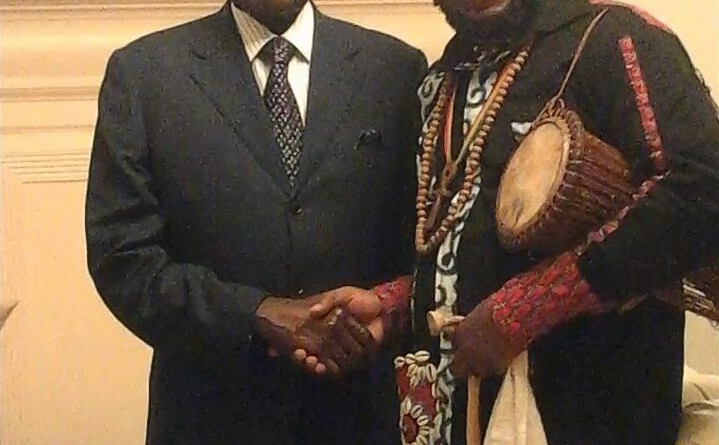 HE said the President requested his new song ‘Serwaa Akoto’, a rendition of an old song he was familiar with during his stay in Ghana. 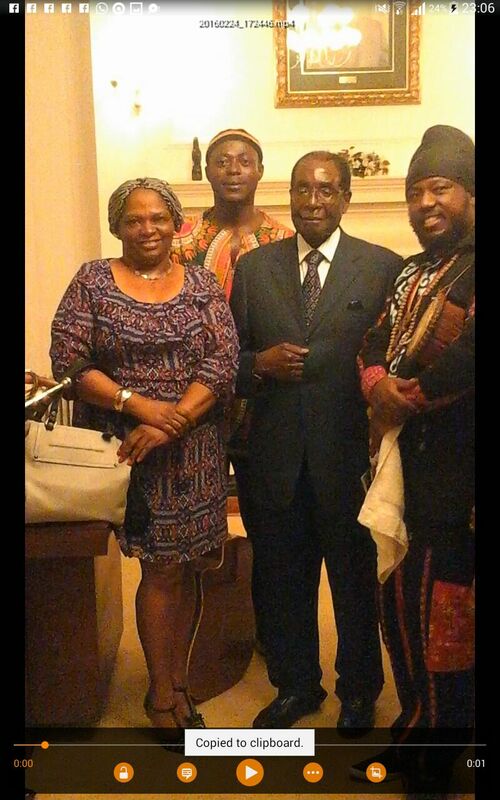 Black Rasta who is billed to headline the Zimbabwean International Music Awards tonight says he is impressed by the general conduct of Zimbabweans. He said Harare is a very well ordered city and the people exhibit very high moral standards. He said contrary to the negative reports the world media churns out, Zimbabwe is nothing like a society on the verge of collapse. He said he will avoid playing his popular song ‘Barak Obama’ at the show because it doesn’t seem like it would strike a good chord with his audience. 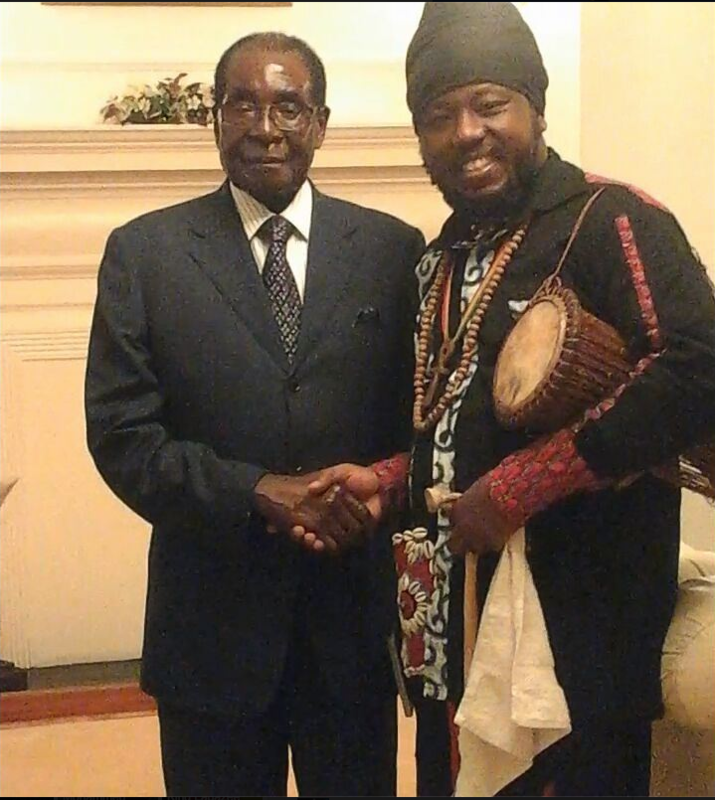 “When I go to play for Obama, I am not sure that I will play Mugabe for him” he said.